Imprisoned Iranian spiritual leader Mohammad Ali Taheri has been sentenced to death for a second time, two years after an initial death sentence that was overturned on appeal. Taheri’s lawyer Mahmud Alizadeh Tabatabaei said on Aug. 27 that Taheri has been sentenced after being convicted of “spreading corruption on Earth” for founding a group called the Circle of Mysticism. Tabatabaei said he will appeal the ruling within 20 days and expressed the hope that it will be rejected by the Supreme Court. Taheri’s family says he has been harassed in prison and pressured into giving a forced video confession. A popular faith healer whose group promotes a mystical understanding of the universe, Taheri was for a time allowed to teach in public and to practice. 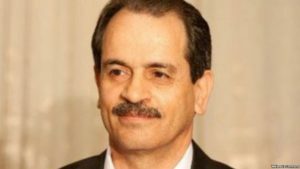 Taheri was first arrested in 2010 and has been in Evin prison in Teheran since 2011, when a court sentenced him to five years in prison for blasphemy. He was sentenced to death on similar charges in 2015, but an appeals court later rejected the verdict. Taheri has reportedly gone on hunger strike several times to protest against his detention. Some of his followers have been detained or otherwise pressured by authorities in recent years.